This week still looks to be the target for at least a temporary low. 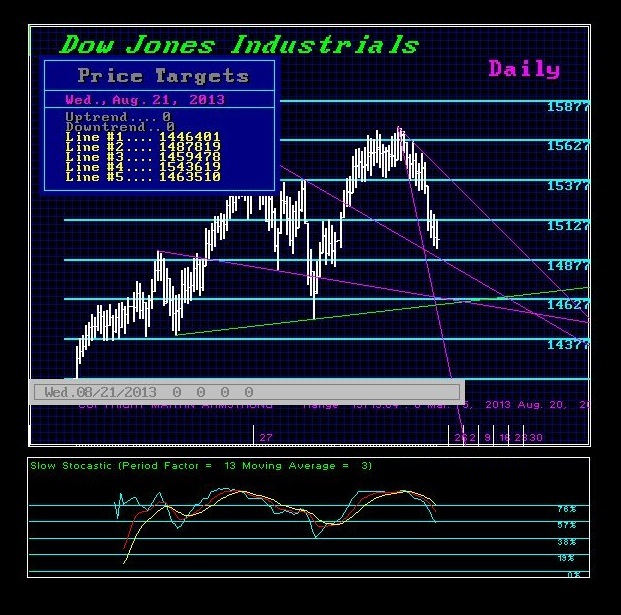 The Dow has broken the 15000 level with support beginning at the 14825-14805 level. Additional support lies at the 14718 level down to 14648. There is a gap down thereafter to 14450-14393. The major support starts at 13782 and only a weekly closing beneath this area would warn of a more sustainable correction. The first Monthly support area lies at 13920. Our technical target are illustrated above with the oscillator. The timing models on the daily level show targets for this Friday and the Long-Term shows Monday. 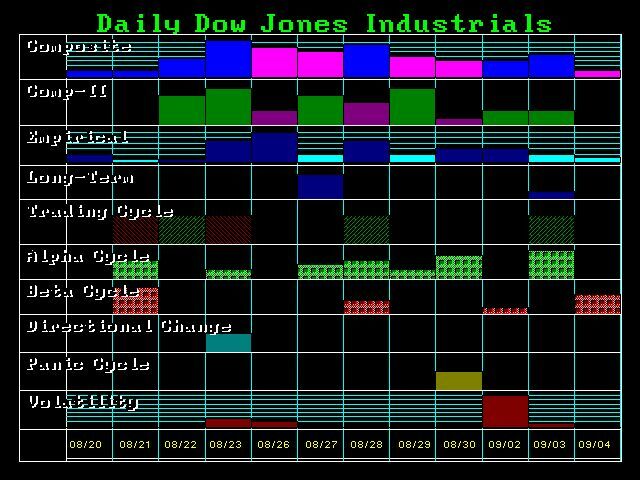 However, since the weekly timing targets this week, any new low into Monday would most likely leave this week as the lowest weekly closing.